Favorites: April 2014 - Cherry Colors - Cosmetics Heaven! I picked a couple of favorites and put them all together in this post for you. 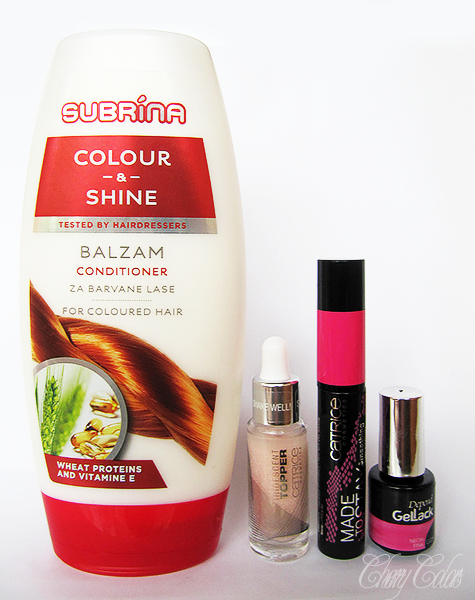 I am currently in love with these items and I do use them as much as I can. I got this product with my Subrina bunch for testing purposes (for Ars-cosmetica if anyone is interested) and I can't get over how wonderful it makes my hair look and feel! Plus it smells amazing (fresh) and my hair smells nice even the day after I've washed my hair. That never happens so I am sold. Oh, and you know what? It is in the cheap range of conditioners. Win-win for cheapos like me. I recently came to this idea that I'd really like to try some regular gel polishes. 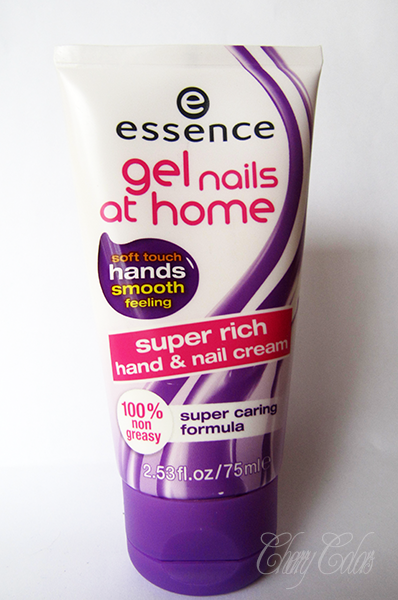 Maybe in the combination with my Essence gel nails at home kit - you know just to replace the tedious waiting time (for the regular polish to dry). It works really well and I keep staring at my nails. Since these are quite expensive (7€ for 5ml) I will stay at two or three colored gel polishes.